Stay connected. While delegating is important, you have to stay in touch with the details to effectively lead your team. You don’t want to be so far removed that you wouldn’t know how to do their job yourself. I had the pleasure of interviewing Jessica McRae, co-founder of SwatchPop!, an online interior design service that pairs clients with a professional interior designer who shares their style to tackle their home decorating projects in a fast, affordable way. 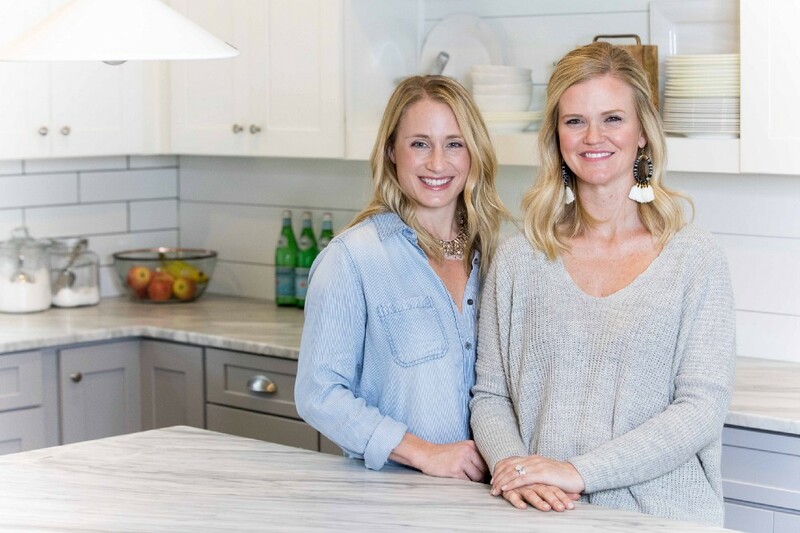 Jessica and her co-founder, Kristen Yonson, launched their business in 2014 and quickly scaled from two designers and a handful of clients to a network of over 50 interior designers with thousands of clients all across the country. The startup has been featured on the NY Post, inc.com, Fast Company, TechCrunch, HGTV, Apartment Therapy and more. As CMO of SwatchPop!, Jessica has built a loyal and engaged fan base for the brand and leads a team of content creators sharing weekly tips and how-to’s that attracts thousands of readers, as well as advertisers and sponsors to the site. I started my career in healthcare sales and marketing. I moved to Boston, MA to launch a new ophthalmic product to market in the New England territory. As a southern gal, I just wasn’t cut out for that kind of cold. I made my way back to Atlanta where I worked with a world-renowned ophthalmologist educating other eye doctors and surgeons about the cutting edge procedures he was doing in his own surgery center. When I had my second child in 2013, I wanted to take a step back and re-evaluate my career path. While at home with the kids, I found myself dedicating more and more time to my own personal hobby and passion, interior design. I’m someone who loves decorating my own home, but there were times I’d find myself stuck. I’d spend hours searching sites like Pinterest and Houzz, but those ideas didn’t always translate to my own space. I didn’t want to hire a designer to re-do my entire room, I just wanted a little bit of help here and there. I started texting photos to a designer friend of mine in Charleston, SC asking for her bite-sized advice like, “what accessories should I put on my coffee table?” and “can you help me choose a new lighting fixture in my dining room?” Fairly quickly, she’d send me back advice and shopping links. It was so easy! I was immediately inspired to create an online forum where anyone, anywhere could connect with a designer using a quick and easy format like this. 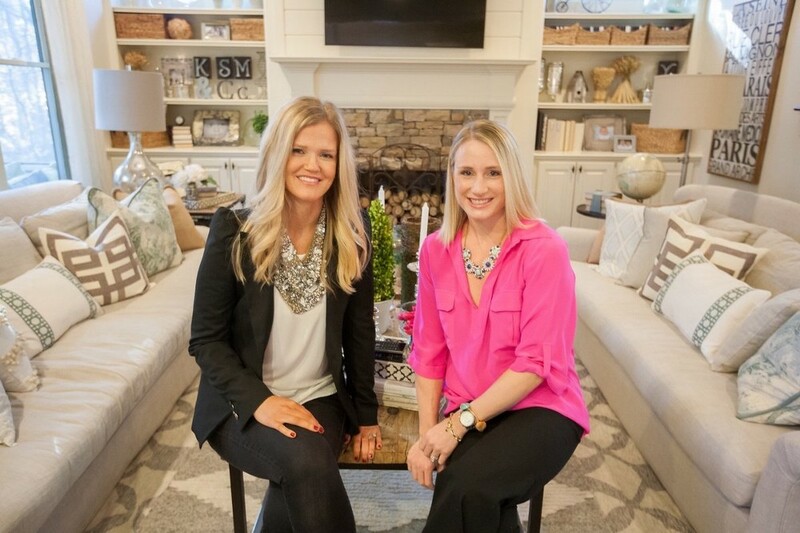 I approached my business partner and former high school classmate, Kristen Yonson, with this concept of a la carte online interior design in 2014 and she was immediately on board. I’m not sure you could call this a “mistake,” because it was really just the natural evolution of our business, but we do LAUGH OUT LOUD thinking about the early days and the lack of automation in our early processes. In that first year of business, the front-end of our website was fairly streamlined for our customers, but the back-end processes were completely manual. 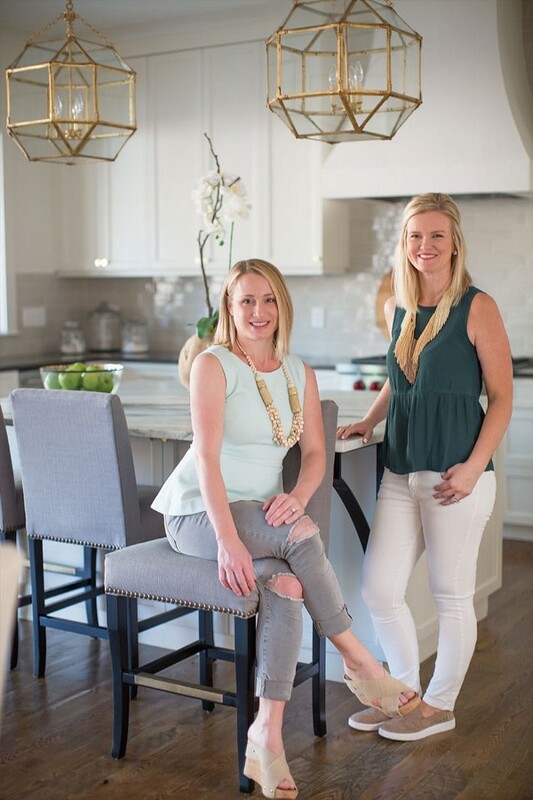 When a client submitted a design project through our site, Kristen and I would personally look over all the photos and details and decide which designer would be a good fit. We’d then forward the project details to the designer we’d chosen who would create her design presentation in a Google Slides for crying out loud! When the designer sent us her completed work, we’d carefully look over the project and analyze every detail before we downloaded it to a PDF and sent it back over to our client. It was CRAZY inefficient. We were growing really quickly and we realized we were drowning in the details of the business and unable to focus on the growth and vision of the company. We knew we had to streamline the process, so at that point, we built a more technologically advanced platform that solved a lot of these problems including a matching algorithm to pair clients with the right designer, and a chat screen so they can easily communicate throughout the process. And no more PDF’s! These days, our clients login to their account to view their designs and leave reviews for their designer. SwatchPop! has an incredibly loyal fan base. We call it a fan base because it goes beyond a customer base. These people genuinely love the content we put out and they connect with it on a personal level. We like to think of ourselves as “the designers next door.” We like to make the design experience fun, easy, approachable. We offer a realistic way to design your home. Most of us don’t have the time or budget to re-do everything all at once like you see on HGTV. Instead, we’re typically updating, refreshing, and making changes as we go, over time, and as our budget allows. We carry that relaxed, attainable messaging across our social channels, our blog posts, and with our paid services. People love it and they relate to it. We’re bringing real value and entertainment to their lives. Yes! We’re currently partnering with other creative brands to develop our own home decor accessories. It’s such a fun way to explore product development while connecting and collaborating with other creative business owners. Stay connected. While it is important to delegate and trust your team members, you need to stay involved and informed with every aspect of your business so you can organically grow, modify, and expand. Hire leaders that “get” your business. Stay connected to those leaders and make them a part of the larger strategy and the vision for the company. If they can see the big picture and they feel like they’re a part of it, it’s much easier to move the needle in a small way every day. I just launched my own website, www.jessicamcrae.com, where I’m sharing blogs and ideas to help other entrepreneurs grow their businesses through authentic marketing techniques. I’m passionate about storytelling and marketing to consumers in a way that feels real and genuine. As entrepreneurs, we’re wearing lots of hats and we’re often forced to tackle areas outside of our own expertise. This is my way of sharing my knowledge and talent with others who are on this same journey. a. Delegate. It can be hard to give up control of certain areas or tasks, but at a certain point, it’s crucial for continued growth. b. Collaborate. Stay connected with your team and ask everyone to participate in the greater vision of the company. Create an environment where people feel valued and heard. They’ll stick around longer and work harder for you. c. Stay connected. While delegating is important, you have to stay in touch with the details to effectively lead your team. You don’t want to be so far removed that you wouldn’t know how to do their job yourself. d. Celebrate. Acknowledge the small successes of your team both personally publicly. Cultivate positivity and enthusiasm in your company culture. e. Inspire. You set the tone for your team and they feed off your energy. Let them feel your enthusiasm and buy into your vision. Jesus brings the greatest good to literally everyone who knows him. So, I’d like to inspire others to follow Jesus. It’s not a new movement, but a life-changing one. I love this quote from Walt Disney, “The way to get started is to quit talking and begin doing.” I can scheme up creative strategies all day long, but executing is the only thing that moves the needle. By nature, I’m a dreamer and a creative. It takes a lot more focus for me to execute and execution is all that matters. I’m so inspired by Sarah Blakely of Spanx and she’s right here in Atlanta so lunch doesn’t seem so impossible, right?! She had an idea, she didn’t take no for an answer, she made it happen, and she continues to grow and expand. I also love to see how she’s encouraging other female entrepreneurs.